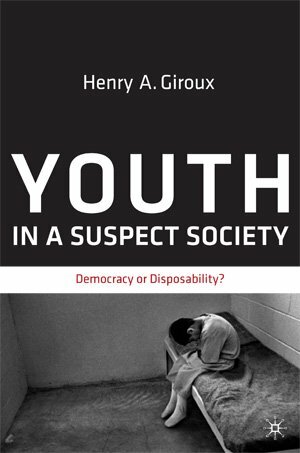 On his book Youth in a Suspect Society: Democracy or Disposability? The soft war analyzes the changing conditions of youth within the relentless expansion of a global market society that punishes all youth by treating them largely as markets and commodities. This low intensity war is waged through the educational force of a culture that not only commercializes every aspect of kids’ lives but also uses the Internet, cell phones, and various social networks along with the new media technologies to address young people as markets and consumers in ways that are more direct and expansive. The processes of creating market-driven values, desires, and identities bypass adults, families, and traditional modes of mediation and enter into an intimate relationship with young people. The hard war is more serious and dangerous for young people and refers to the harshest elements, values, and dictates of a growing youth-crime complex that increasingly governs poor minority youth through a logic of punishment, surveillance, and control. For example, the imprint of the youth-crime complex is most evident in the increasingly popular practice of organizing schools through disciplinary practices that closely resemble the culture of prisons. In this instance, even as the corporate state is in financial turmoil, it is transformed into a punishing state, and certain segments of the youth population become the object of a new mode of governance based on the crudest forms of disciplinary control. The book also analyzes neoliberalism (or free-market capitalism as it is called in some quarters) not merely as an economic system, but also as a mode of education in which market values supplant civic values, and the obligations of citizenship are reduced to the practice of consuming, the accumulation of capital, and the endless disposing of goods and people rendered as redundant and excess. Central to Youth in a Suspect Society are the concepts of biopolitics and disposability, which suggest a new form of politics and a more vicious element of market-driven cruelty. Biopolitics suggests that, as the social state has been gutted, politics is no longer about the dream of securing a better life, but is now primarily centered on fighting to survive. Drawing upon the work of Michel Foucault, Giorgio Agamben, Zygmunt Bauman, and other theorists, Youth in a Suspect Society focuses on a form of economic Darwinism that has fundamentally transformed the meaning of politics. Politics is no longer understood as participating in and shaping those institutions and values that are central to both the promise of democracy and the possibility of living a good life. Instead, matters of life and death are now the central issue of politics. Furthermore, neoliberal biopolitics, with its attack on all things public and the viability of a social state, now views entire populations as disposable, human waste products that are either rendered invisible or subject to the dictates of the criminal justice system. This is especially true for many young people who are considered marginal because they are poor, black, unemployed, or flawed consumers. Poor minority youth have not just been excluded from “the American dream,” but have become utterly redundant and disposable, waste products of a society that no longer considers them of any value. Under such circumstances, matters of survival and disposability, life and death, become central to how we think about and imagine politics. 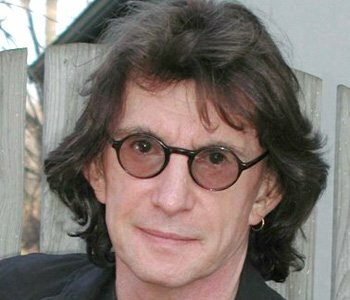 Over a decade ago I realized that while progressives had a great deal to say about class, race, gender, sexual orientation, and disability, they had almost nothing to say about the crisis of youth and its enormous significance for the analysis of the effects of market fundamentalism, the rise of the punishing state, and the crisis of democracy itself. Similarly, progressives had very little to say about the crucial nature of pedagogy and education in providing a critical and formative culture for talking about the rise of neoliberalism and its culture of disposability. I have tried over the last few years to correct this theoretical and political absence. My books focus on the related crisis of youth and democracy, while at the same time also on the role that academics, public intellectuals, and other cultural workers might play in challenging it.